Nicolas Cage is a vampire, according to one eBay user who attempted to sell a photo from the 1800s of a man with an uncanny resemblance to Cage. The photo was listed on eBay -- though the link has since been removed -- for a whopping $1 million, sold by Jack Mord from Seattle-based Thanatos Archive. According to Mord, the photo, taken in 1870, is definitely Nicolas Cage. Personally, I believe it's him and that he is some sort of walking undead/vampire, etcetera, who quickens/reinvents himself once every 75 years or so, Mord wrote in a note accompanying the photo. The photo featuring a Cage look-alike sitting in a chair is apparently a Civil War era photo of a Confederate prisoner, who went by the names Lt. G.B. Smith or Lt. Robert M. Smith taken sometime around 1870 at Johnson's Island prison camp in Ohio, according to an article from Timesnews.net. According to The Thanatos Archive Facebook page, the photo of the supposed Nicolas Cage has been quite popular, amassing 65,000 hits to the eBay page in 24 hours. 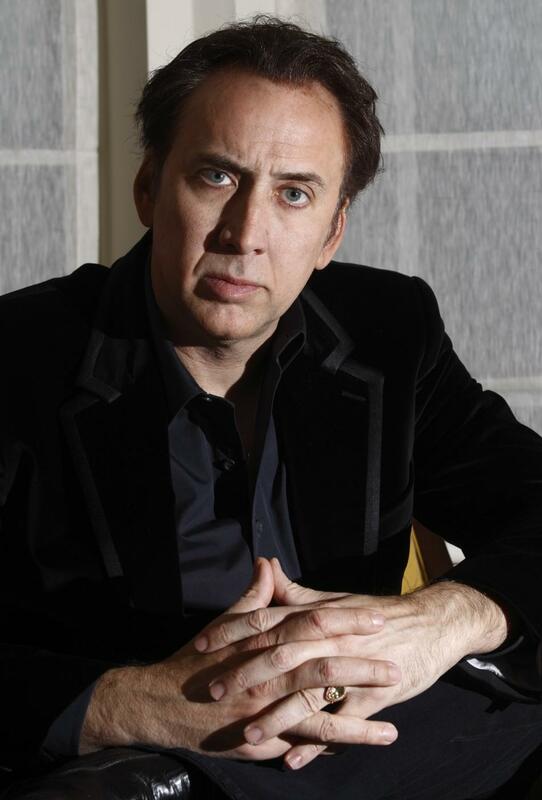 So is this a photo of the real Nicolas Cage or just a hoax or marketing ploy? While the photo appears to be unaltered, especially since these types of antique photos cannot be faked, Mord insists it must be Cage, suggesting an elaborate scheme. 150 years from now, he might be a politician, the leader of a cult or a talk show host, Mord writes. My theory is that he allows himself to age to a certain point, maybe 70, 80 or so, then the actor 'Nicolas Cage' will 'die' ... but in reality, the undead vampire 'Nicolas Cage' will have rejuvenated himself and appeared in some other part of the world, young again, and ready to start all over. But if Nicolas Cage is a vampire in real life, aside from his role as one in 1988's Vampire's Kiss, wouldn't people in future years recognize him? Don't worry, Mord had something to say about the doppleganger phenomenon. From time to time somebody might mention to him that he bears a slight resemblance to the young version of that dead American actor, whose name they can't recall, but eventually, those occurrences will stop altogether, Mord said. Nicolas Cage has not commented on the photo since it was posted on eBay Saturday, but he is no stranger to odd news. Last week, he told reporters at the Toronto Film Festival that he was once awoken by a naked man holding a Fudgesicle in the middle of the night. It was two in the morning...I opened my eyes and there was a naked man wearing my leather jacket eating a Fudgesicle in front of my bed, he told reporters on Wednesday. But if Nicolas Cage is a vampire, then shouldn't he be sleeping in a coffin instead of a bed?